Twenty years later, the company managed by Nikolaos Tatakis transformed to an import and logistics company of wine and spirits for imported brands in the Dodecanese Islands. 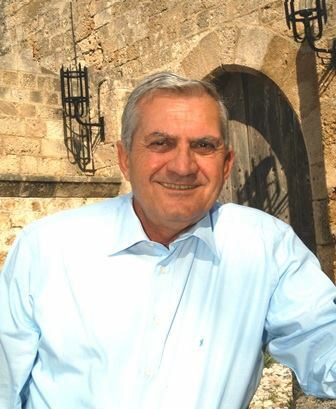 In 2003 the enterprising spirit of Nikolaos Tatakis motivated him to set up a small winery in Gennadi Village in Rhodes. Today this company managed by Tatakis Family with the production and distribution of quality wines. Tatakis Wines company shows its local character and history by supporting cultural events and organizing wine connoisseur festivals, combining the traditional Aegean cuisine with its exquisite wines. The Tatakis Family winery is located in the Southern part of Rhodes island in Gennadi Village, fourteen kilometers away from the historical village and the Acropolis of Lindos. This is where the wines are produced with special care through traditional methods but with modern philosophy. Not only local varieties of grapes such Athiri, Amorgiano, Moscato but also international varieties like Cabernet Sauvignon, Merlot and Chardonnay are used for the production of the company wines. Tatakis Wines invests systematically on technological equipment and human resources with the utmost respect to the natural environment and the right management of natural resourses. The vineyards with which we collaborate are located in the village Embona at the foot of Mount Attaviros 1.250m meters high which is the tallest mountain in Rhodes, also in Salakos at the foot of Mount Profitis Ilias and village Fannes near the seacoast. The goal of Tatakis Wines is the revival of the local wine varieties Athiri Rhodes and Amorgiano.